John Fallucca was born and raised in the Philadelphia area. He enjoys hiking, playing volleyball, seeing live bands, traveling and thrilling adventures geared to push him past his personal limits. 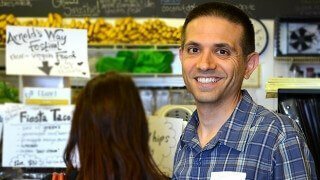 After experiencing the negative effects of the standard American diet, he decided to make a major lifestyle change in regard to diet and nutrition. 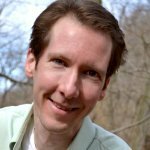 The transition was an eye-opening experience, as he continued to improve the more he incorporated a greater percentage of raw foods into his diet. From his experience, it is clear that it makes perfect sense to eat a raw food diet. I discovered a raw food diet while I was on the path to improving my health. My story began in fall 2012 when I pulled out a notebook and wrote down on a blank sheet of paper “Life Transformation.” This was where I was going to document the journey I would take. By recording my progress, it would help me see the steps I took and to look back and see how far I’ve come. Growing up, I was raised on the standard American diet, and, like the majority of America, I enjoyed pizza, pasta, burgers, chicken, fish, bread and, of course, desserts such as ice cream and cake. I was never much of a fan of fruits and vegetables. I was not overweight and didn’t have major health issues as a child and teenager. It wasn’t until the past five years that I felt my health was slowly deteriorating. More and more, I was experiencing severe headaches on a regular basis. In addition, I often had issues with digestion, fatigue, sleeplessness, brain fog, constipation and high cholesterol. I knew I had to make some serious changes. In winter 2012, I decided to buy a juicer. After much research, I went with the Omega J8006, a low-speed, high-yielding masticating juicer. At the time I made that purchase, I felt committed toward changing my diet, as this was the first big step. Prior to this, I had started buying some organic food on a regular basis. I wasn’t much of a fan of eating fruits and vegetables, but my theory was if I can’t eat it, I would drink it. For the next year, I juiced at least two or three times a week. Over that course of time, I noticed my taste buds changing, and I started to enjoy fruits and vegetables more. 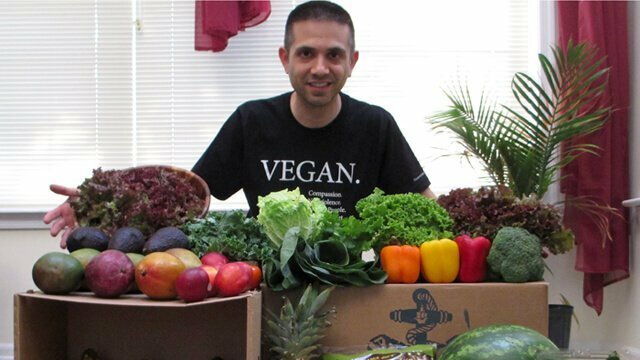 I had decided not to try a diet based on restrictions, so I had not completely cut out meat or dairy, but as I was eating healthier and feeling better, my desire to eat meat and dairy was subsiding. 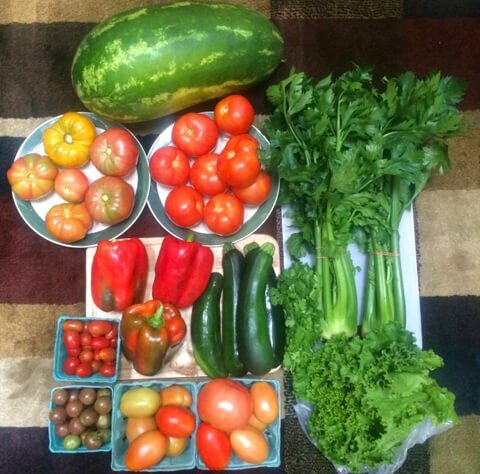 A fruit-and-vegetable haul from John Fallucca’s CSA. In the following spring, I joined a CSA, or Community Support Agriculture, at a local organic farm in New Jersey. 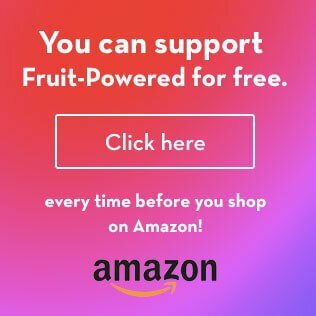 I purchased a six-month share up front for $400, or about $16 a week. Each week, I picked up a large cooler of produce. Not only did I discover an amazing variety of food offered at the farm, but I also scored when compared with shopping at a supermarket and even farmer’s markets, for that matter. One particular week, I received three heads of red leaf lettuce, baby kale, arugula, Swiss chard, spinach, heirloom tomatoes, eggplant, bell peppers, bok choy, cabbage, collard greens, carrots, beets and a variety of fresh herbs that I picked. 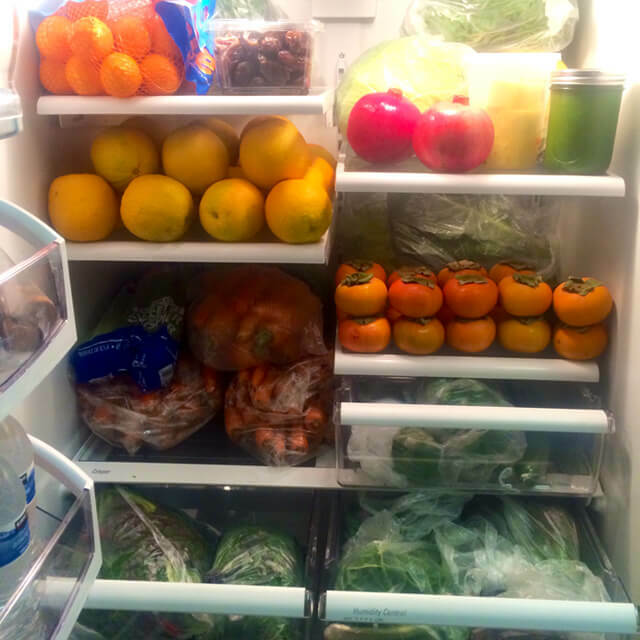 With all the vegetables I received, I experimented with juice cleansing during the summer. I experienced the normal detox symptoms but felt my body healing as I was able to give my digestive system a break. It was at this time that I was progressing toward a raw food diet. The path that I was on followed the sequence of vegetarian, vegan and then raw vegan. I think took a leap forward with a raw food diet when I decided to buy a Vitamix blender in early 2014. Previously, I used a standard blender, but it wasn’t giving me the results I desired when it came to making smoothies that tasted great. With the high-speed Vitamix blender, smoothies were a breeze. 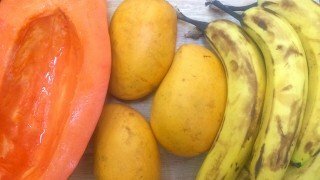 Now I had started incorporating entire meals consisting of only fruit into my diet. 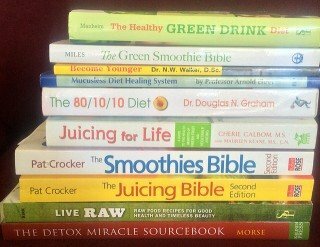 Pictured are some titles in John’s collection of health books. Along this journey, I educated myself as much as possible. I watched a lot of documentaries such as Fat, Sick & Nearly Dead, Food Matters, Genetic Roulette, Forks Over Knives, Hungry for Change and Food, Inc., to name a few. I also purchased a few books by Arnold Ehret and Norman Walker. For me, The 80/10/10 Diet by Dr. Doug Graham was very important for success with raw foods and health. I had first discovered 80/10/10 through a health-conscious friend who had been following a low-fat raw vegan diet, outlined in the book. At the time, I had no idea what 80/10/10 was but was intrigued by how she looked like a young 25-year-old at the age of 40. I think it has the correct formula for success when it comes to raw foods. Approximately 80 percent of your caloric intake should be from carbohydrates, with 10 percent from protein and 10 percent from fat. Eat a diet primary based on fruit for carbohydrates and incorporate vegetables for protein, and avocados, nuts and seeds for healthy fats. The things that struck me most were the immediate positive effects of eating raw foods. I remember the physical changes the first week I experimented with being 100 percent raw. My energy level soared, my focus was sharper than ever, my digestion improved dramatically and my skin was softer. I was thrilled and wanted to feel like this all the time! 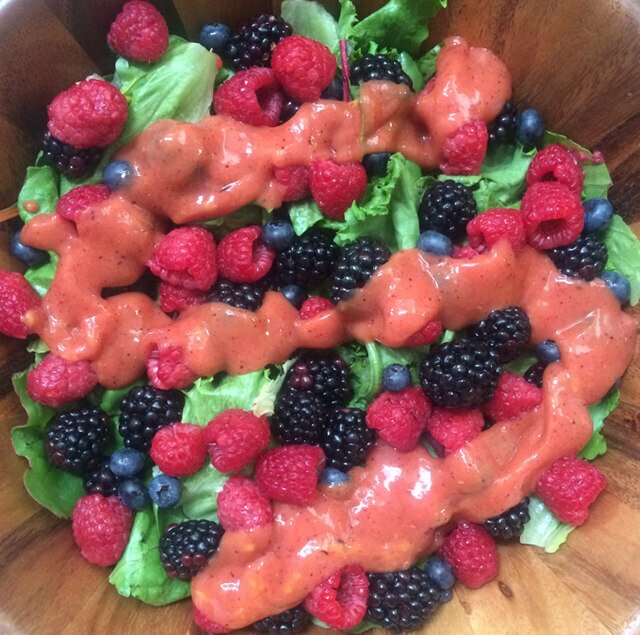 Eating enough calories can be a challenge when you first start off on a raw food diet. When you eat raw foods, the volume of food you have to eat is much larger than you are used to because the calorie count of raw foods are much lower than cooked foods. One banana is about 100 calories. My typical breakfast smoothie has seven or eight bananas along with at least one other high-calorie fruit. It is essential you get enough calories on a raw food diet otherwise you will be tired, and you may be tempted to give into unhealthy cravings. 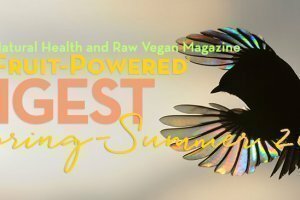 This global raw food community is a great place to connect with other like-minded individuals. I have found it very informative, helpful and encouraging no matter where you are in your health journey. 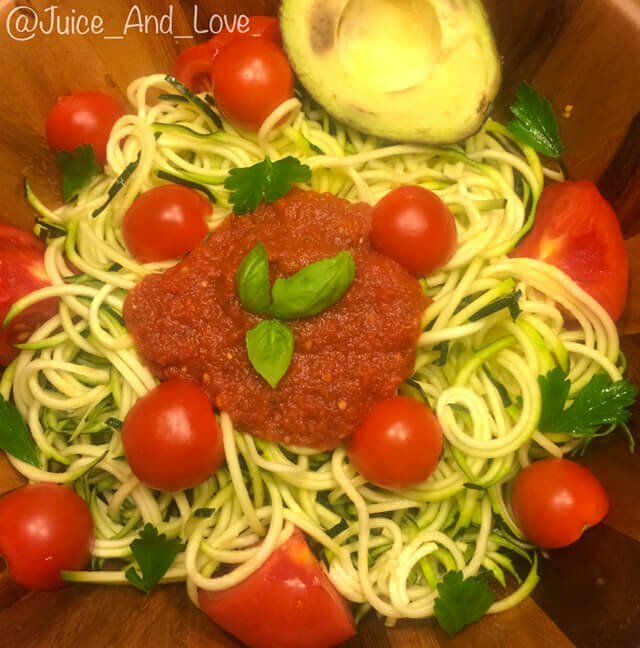 Many people in the raw food community have influenced and inspired me along the way. With social media sites such as Facebook, YouTube and Instagram, the community is growing strong. 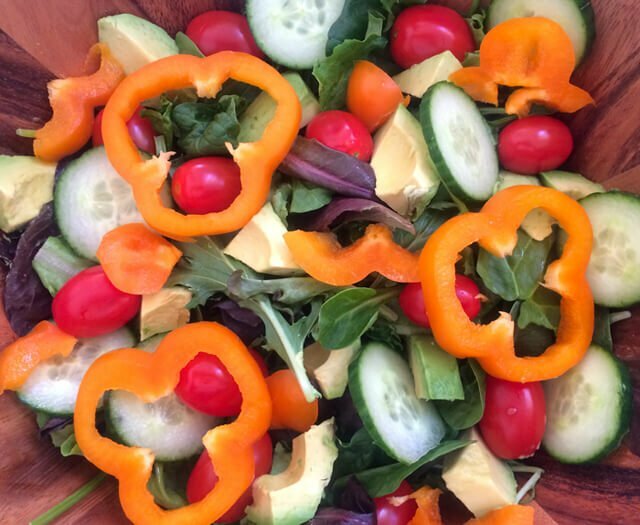 Arnold’s Way in Lansdale, Pennsylvania, is a one-of-kind raw food center that you just have to see and experience yourself. I like to think of Arnold’s Way as a mix between a raw food café, resource center, community support hub and gathering place for people seeking a healthier lifestyle. During the monthly potlucks, guest speakers share stories about the positive benefits of eating raw foods or other health-related topics. People come from all over the country to visit and connect with this health-conscious community. The most success stories with raw foods have come out of Arnold’s Way. I decided to go 100 percent raw on my birthday in 2014. Below is an excerpt from a Facebook post that received a lot of positive feedback. For me today is a noteworthy day. Really marks a rebirth for me. It is my birthday, but for me it’s much more than that. It is a commitment to health. I am doing this for me, my health is important. I am marking this as the day I became Raw Vegan, although I’ve been a raw vegan for a few weeks now. This is a serious commitment to make that I do not take lightly. It has been a challenging journey to get to this point and I’m sure there will be challenges ahead and everything may not go perfectly. I am ok with that, I am not seeking perfection. In my mind I keep thinking, nothing worthwhile is ever easy. I’ve been slowly improving my health over the past 18 months. I’ve been gradually making small changes, adapting as needed, and educating myself along the way. In the past 18 months I have completely removed meat, dairy, seafood, coffee, soda, alcohol, wheat, soy, packaged, processed, and junk food from my diet. I know to some this may sound extreme. I now enjoy a diet based on a variety of fruits, vegetables, nuts, and seeds. Along this journey, as I felt a little better, the more I wanted to continue and improve. I have to say I love how I feel now. 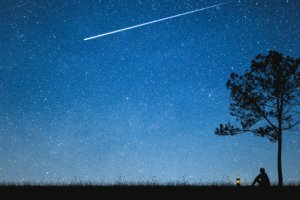 I have more energy, focus, and a renewed sense of purpose. With eating this way, I have greatly reduced or eliminated fatigue, headaches, indigestion, mucus and phlegm, high cholesterol, brain fog, dry skin, and sleeplessness just to name a few. I think back to the beginning how difficult it was going to be to even make small changes. But I just kept saying to myself to take it slow, ease into it and enjoy the ride; there are really no shortcuts to any place worth going. There are so many people I want to thank that have inspired me in some way or another. Many are in the health community and are committed to health in some way, shape, or form or have changed their life and benefited from a healthy lifestyle or just want to improve their health in general. In many ways I view this as just another step, the journey is ongoing. Always evolving, adapting, and improving along the way. At the 2014 Woodstock Fruit Festival, I experienced a full week of the raw lifestyle with like-minded health-conscious people. Advertised as the “Super Bowl of Health, Fitness and Social Events,” the festival, held in late August, attracted hundreds from all over the world gather in the Southern Adirondacks, New York. It was here that I met and connected with dozens of people, enjoyed a variety of lectures from raw food pioneers and participated in exercise classes. It was amazing to talk to people who are on a journey to health and how they have succeeded with this lifestyle. With raw food, people have overcome eating disorders, diabetes, cancer, depression and weight loss, just to name a few. John in the Catskill Mountains. John summited the 35 highest peaks in 2014. I enjoy hiking because it allows me to connect with nature on a more personal level. I hike throughout the year. It’s a good way to see the beauty of all four seasons here in the Northeast. This is fairly new passion of mine, though. One August morning in 2013, I received a call from a friend who asked me if I wanted to hike a mountain in the Catskills. I had never hiked a mountain in my life, but I did have a backpack and pair of boots that would do the job. 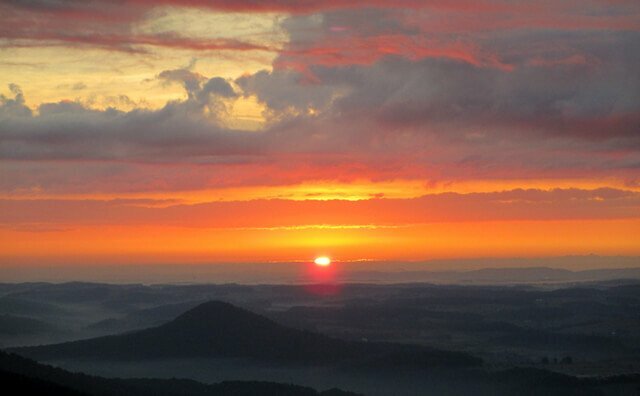 We hiked to the top of the mountain, and I was sore the next day, but I was hooked. The views made it worth it, and I enjoyed the challenge. 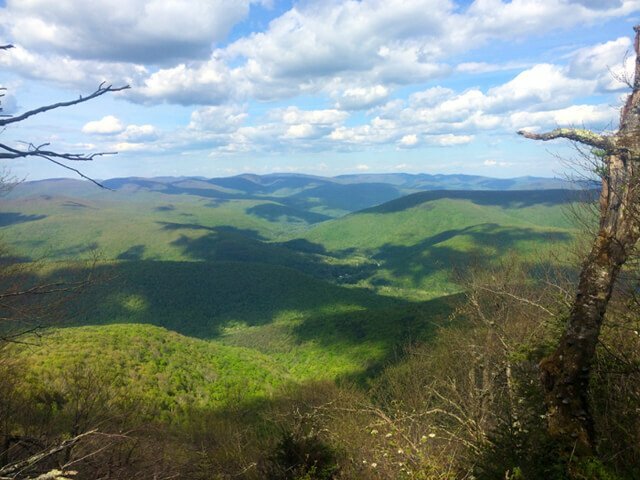 The Catskill Mountains in New York are my escape to solitude and tranquility. There is something about going into the mountains that is calming to me. I read that just one week of camping in the wild can reset your body’s clock and return your natural sleep patterns. Nature can truly work its wonders. I do find it interesting how, when I was changing my diet, I became more in tune with nature. At the end of 2014, I completed a goal of mine. 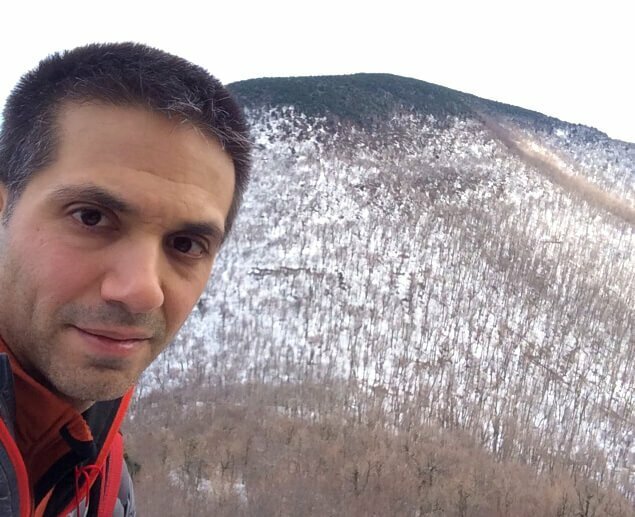 A year before, I set out to hike the 35 highest peaks in the Catskills, all which are at least 3,500 feet in elevation. After completing that goal, I became an official member of the Catskills Club. Now, I’m working on completing all 35 high peaks during the winter months. 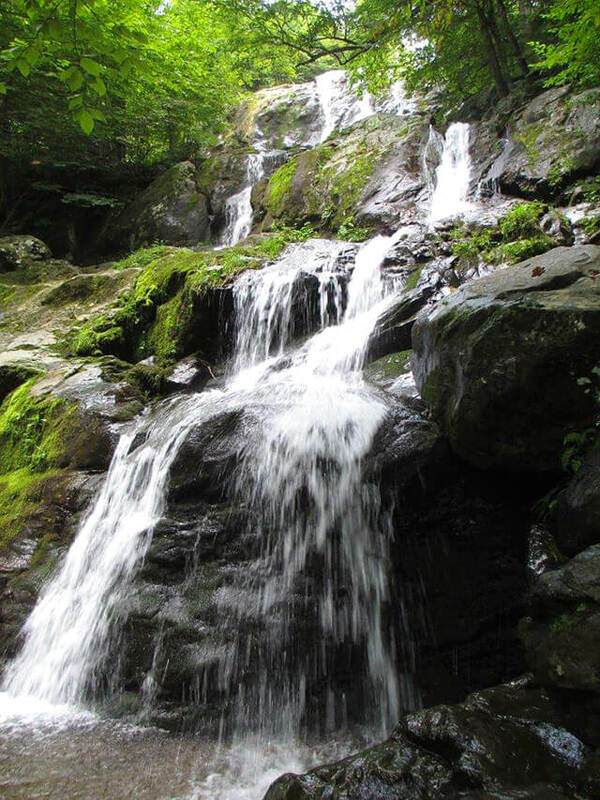 This spring and summer, I plan on reuniting with friends at the Woodstock Fruit Festival in Hawaii, go on some hiking and backpacking trips in Pennsylvania and New York, and experiment with mono-juice cleansing. 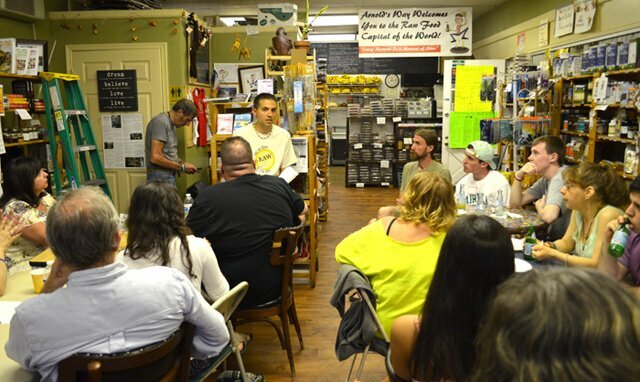 John speaks at the May 16, 2015, Arnold’s Way potluck as the evening’s featured guest. 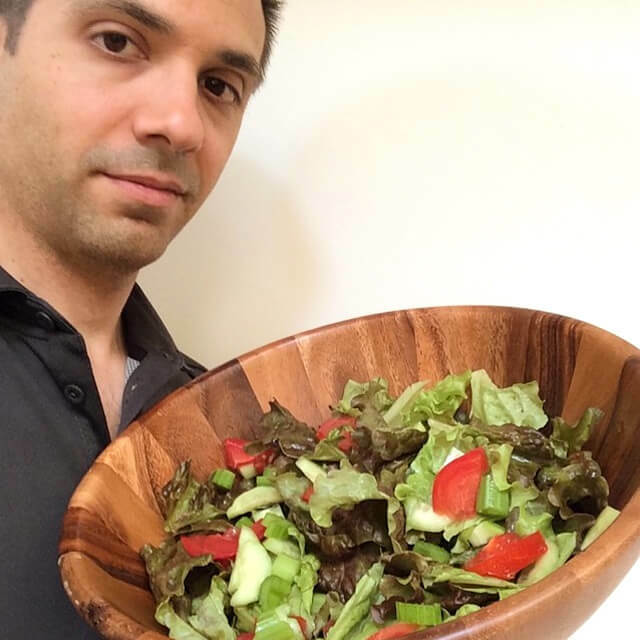 Discover John Fallucca’s Top 10 Tips for transitioning to a raw food diet! Hungry for more? 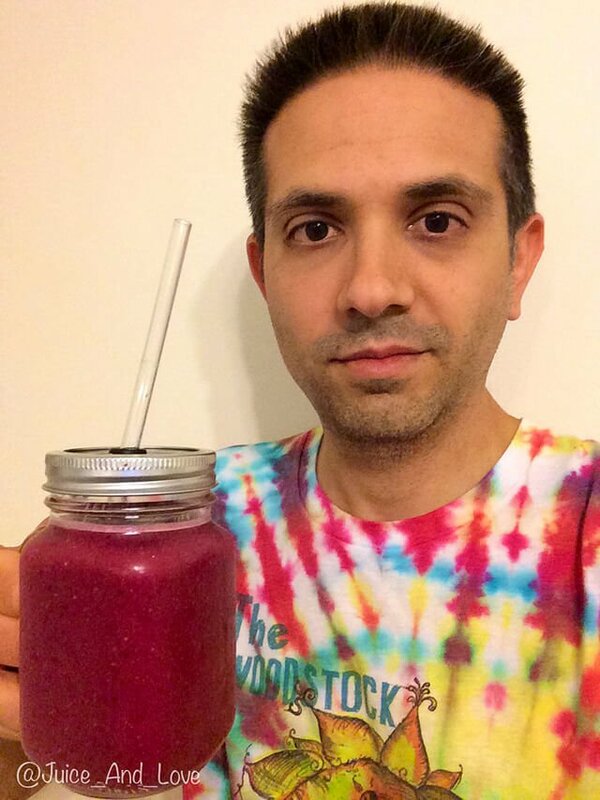 Check out John’s Tropical Smoothie recipe!